Nigel Slater’s Toast is to tour the UK following its season at The Other Palace, London. Tickets for Nigel Slater’s Toast UK Tour are now on sale. Following its world premiere at The Lowry, Salford in May, a sold-out run at as part of Traverse Festival 2018 at the Edinburgh Festival Fringe, and a London transfer to Andrew Lloyd Webber’s The Other Palace where it is set to play from the 4th April – 3rd August, Nigel Slater’s Toast will then tour the UK. Launching at Huddersfield’s Lawrence Batley Theatre on 19 August, where the play’s writer Henry Filloux-Bennett has recently been appointed Chief Executive, the run will conclude its run at the Crewe Lyceum on 7 December. 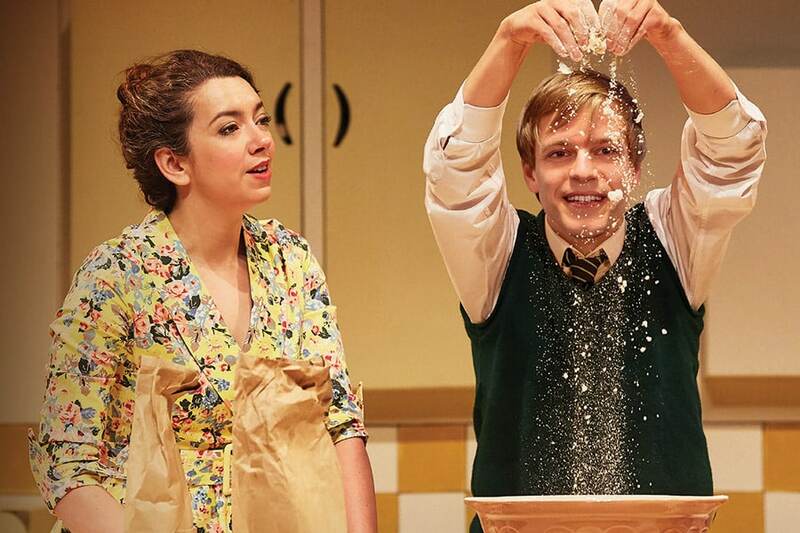 Based on the British Book Awards Biography of the Year, Toast is a new play based on Nigel Slater’s award-winning autobiography. Vividly recreating suburban England in the 1960s, Nigel’s childhood is told through the tastes and smells he grew up with and the audience with be enveloped by the evocative sights and sounds of cookery that defined the definitive moments of his youth.